Sad sight to see. 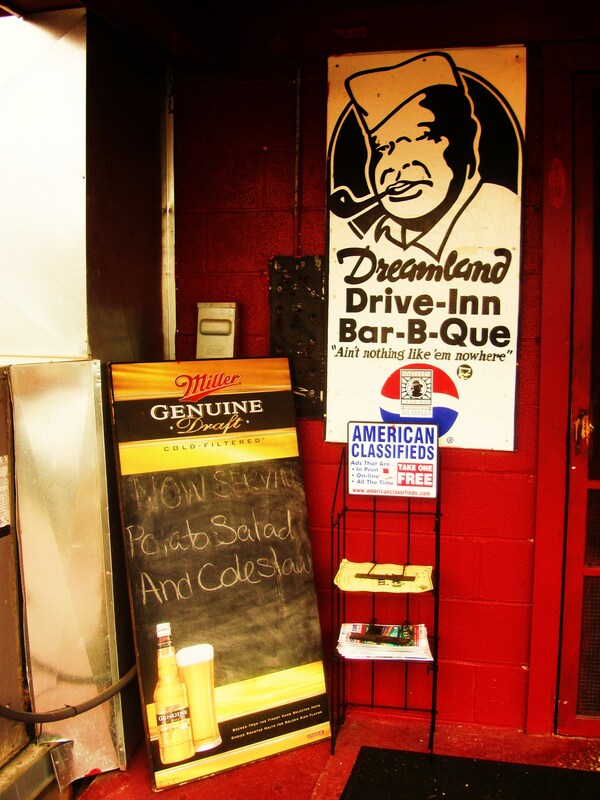 The original Dreamland Barbecue in Tuscaloosa hawking non-meat in a last ditch effort to maintain solvency. The once proud house of pork ribs, and pork ribs only is now in the potato and cabbage business. I remember way back when, when Big John [RIP] once put a sign up announcing “we now have beans” with a little arrow pointing towards a bag of Lance candied Boston Beans. The once mighty pork ribs are now little dry spindles with a mouthful of meat per bone. Sad sight to see. Meanwhile in nearby Northport, Archibald’s continues to put out the finest barbecue in the Deep South. This entry was posted in Texas Daily Photo and tagged alabama, archibald's, barbecue, BBQ, crimson tide, dreamland, northport, roll tide, tuscaloosa. Bookmark the permalink.